Travel is discovery and it’s a delight when you stumble upon a new favorite thing. Whether it’s music, dance, food, a cocktail, beach, park, campsite, a person, exceptional experience or an intimate moment. Large or small—it doesn’t have to work for anyone else—it just has to rock your world. I discovered my new favorite thing recently in Toronto. 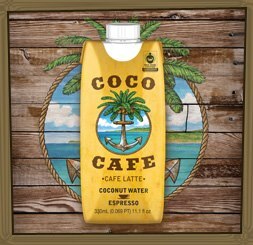 It’s Coco Café—coconut water with a kick of espresso, a hint of sugar, and dash of low-fat milk. I popped into a café for an iced coffee but walked out with an obsession. Crazy for anything coconut, the coffee buzz was a bonus. So there you have it, that’s my new favorite thing. But obviously Canada’s largest city has lots more to discover than my new favorite drink. 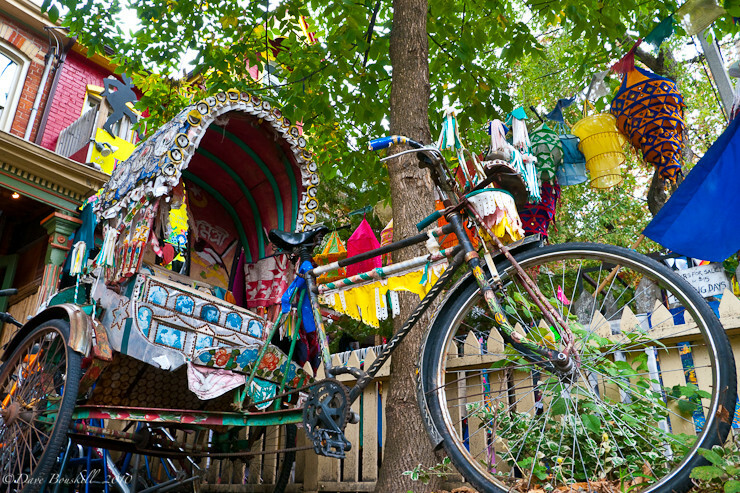 As it’s grown over the years, Toronto’s sprouted neighborhoods with a fantastic mix of ethnic cultures, food, arts and entertainment. Leslieville is a working and middle-class area, celebrated for its artistic vibe, retro shops and good eats. Chinatown and Kensington are the most multi-cultural hoods in Toronto. If you’re not adverse to a group tour, you may want to check out Urban Adventures. They offer small (no more than 12 people) guided tours. You’ll learn some history and get to experience some of what makes these heritage neighborhoods standout. Looking for another angle? The Planet D offers photography tours. If you prefer not to run with a pack, the subway and streetcar system make navigating the city a breeze. Toronto’s easy to get around and you’ll be able to cover good ground, on foot as well, depending on the amount of time you have. From eating to exercising, here are some local, popular, and touristy things to see and do around the city. Art Gallery of Toronto (AGO) – Culture vultures can get their art fix here at the one of the largest museums in North America. The AGO holds over 80,000 works in its collection and will soon premier the Ai WeiWei According To What? exhibit from August 17-October 27. The excitement this artist generates is drawing locals, and visitors from across the country and the border. CN Tower – What would a visit to Toronto be without a peek inside of what the American Society of Engineers classified as One Of The Seven Wonders Of The Modern World? With a 360-degree view of city, the Tower also features a restaurant, entertainment, exhibitions and events. The Toronto Islands – One of the city’s top attractions, these islands are just a 10-minute ferry ride from the city. Beaches, biking, canoeing, kayaking, festivals, picnicking—depending on how you like to hang, there’s something for you on one these islands. If you’ve got kids, there’s an amusement park and a petting zoo, too. 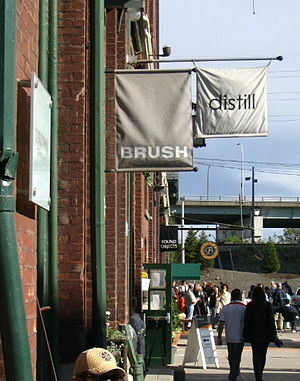 The Distillery – formerly a derelict zone of Victorian industrial buildings, in 2003 a group of creative developers transformed the area into an atmosphere that’s now heralded as one of Canada’s premier arts, culture and entertainment destinations. With one-of-a-kind shops, restaurants, galleries, theatres, and cafes, it’s a great place to hang out—day or night. The Toronto International Film Festival (TIFF) – this town is overflowing with film festivals but it’s this one, held annually for ten days in September, that set’s the city on fire. TIFF has established itself as the premier event in the industry and built up Toronto’s city cred. Cannes and Tribeca have nothing on it, and it’s the world’s largest public film festival. If you have any plans to visit Toronto during September 5-15, act fast—get some tix, see some flicks and don’t forget the camera. St. Lawrence Market – one of my favorite, previously mentioned, haunts in Toronto, I’m hungry just thinking about it. Bring an empty stomach and leave very happy and probably with lots of good stuff. The quality and variety of fresh food offered at this market from fruits, veggies, fish, meat, spices, herbs—you name it—is nuts, so go there and go crazy. 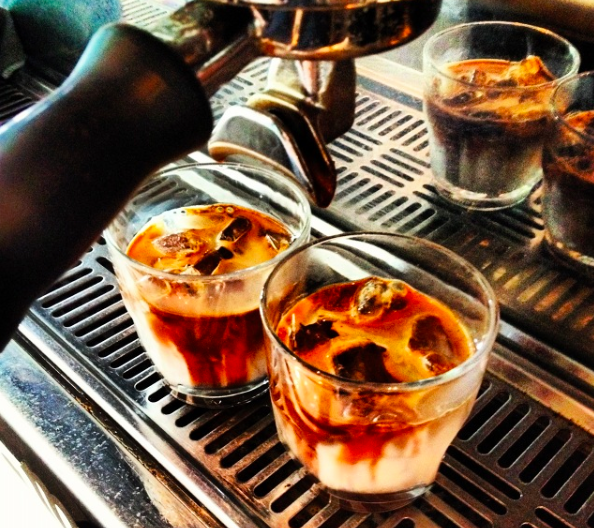 Good stuff awaits you at the Rooster Coffee Shop. With no shortage of bars, cafes and restaurants, it’s challenging to list all the faves but here are a few standouts. For quality Italian fare, check out Buca. If you’re in The Danforth, pop into Mezes for authentic Greek cuisine served family style. Need a java jump? The Rooster Coffee House was voted one the best cafes by Toronto Life. With two locations, they make it easy for you to get your fix. Flemingdon Park Golf Club – This 9-hole public course is located in the Don Valley, just minutes from the city center. They rent clubs, carts, bags, and have a practice driving net. 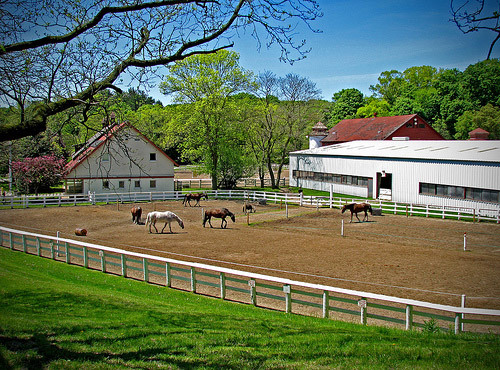 Sunnybrook Stables – Like to ride? I do. These stables are in midtown Toronto but you’ll feel miles away. From beginner to advanced riders, the instructors—and the horses— are excellent. Sundara Yoga – When you stay in a hotel, it’s easy to just plod down to the gym. Break form, be adventurous and check out where the locals do it. Located in historic Cabbagetown, Angela Jervis-Read runs a yoga studio that’ll welcome you with open arms. Her specialty is Yin yoga and her instruction is encouraging without the woo-woo weirdness that can sometimes turn folks off to its benefits. There are loads of hotels all over the town. 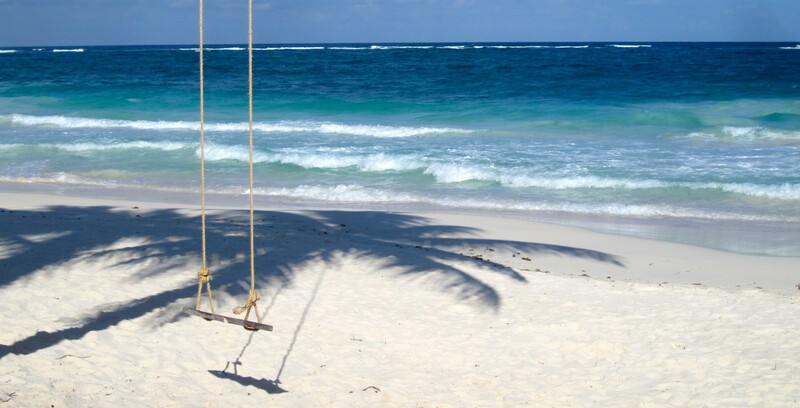 Depending on your budget, and the area you want to stay, here’s where a travel agent can cut your work in half. A few recs off the top of my head are The InterContinental on Bloor Street, which is well located; The Omni King Edward, in the financial district, and The Drake in the Queen Street West area. Depending on where you hail from, Toronto is easily accessed by rail, bus, or car, and of course…air. If you’re flying, check out Porter Airlines. With this carrier’s excellent service, they’re at the top my list. The biggest plus is that they fly directly into Billy Bishop Toronto Island Airport, which will put you right smack in the city so you can hit the ground running. 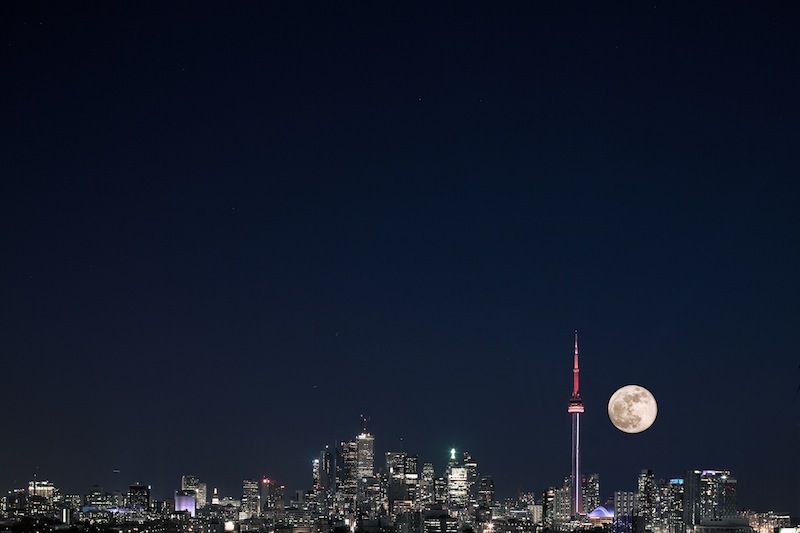 Toronto is all grown up but its evolution is nowhere near over. Been there? Share your story…and your new favorite thing. This entry was posted in Claudia's Trips, Uncategorized and tagged accommodations, Ai WeiWei According To What, Angela Jervis-Read, architecture, Art Gallery of Toronto, Arts, beaches, biking, Buca, bus, cafes, Canada, canoeing, car, cars, Chinatown, coffee buzz, Don Valley, entertainment, exercise, favorite things, festivals, Flemingdon Park Golf Club, food, golf, Greek cuisine, horseback riding, horses, hotels, Italian food, kayaking, Kensington, Leslieville, Mezes, movies, Ontario, picnicking, Porter Airlines, Queen Street West, rail, restaurants, Rooster Coffee House, September, sleep, St. Lawrence Market Toronto, Sundara Yoga, Sunnybrook Stables, The Danforth, The Distillery, The Drake, The InterContinental, The Omni King Edwary, TIFF, Toronto, Toronto International Film Festival, Toronto Islands, transportation, Travel, travel agent, zoo on August 1, 2013 by portsarecalling.